The AMD E2-7110 is a mobile quad-core SoC (codenamed "Carrizo-L") for entry-level devices and subnotebooks, which has been presented in May 2015. In addition to 4 CPU cores clocked at up to 1.8 GHz (boost clock), the 28 nanometer chip also integrates a Radeon GPU, a single-channel DDR3L-1600 memory controller and the southbridge with various I/O-ports. The TDP of the E2-7110 can be configured from 12 to 15 Watt (in contrary to the faster Carrizo-L that can be configured up to 25 Watt). The predecessor AMD E2-6110 features similar specifications except the slower clock speed (at least boost, as the 6110 clocks at 1.5 GHz without boost), the configurable TDP, and the new FP4 package (compatible to the mainstream Carrizo SoCs). Carrizo-L, Beema (for notebooks) and Mullins (for tablets and compact subnotebooks, same die) are based on AMD's Puma+ architecture, which is the successor to the previous Jaguar design (Kabini and Temash APUs). Neither the performance per clock nor the feature set (including SSE up to 4.2, AVX and AES) have been modified. 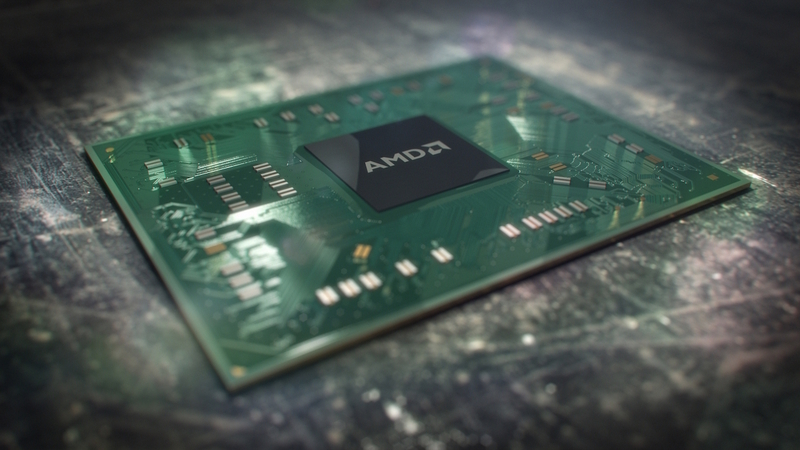 However, AMD managed to reduce the leakage current, enabling significantly higher (boost) clock speeds. This leads to a more responsive system and better overall performance. As its predecessor, the chip is manufactured in 28 nm. The processor performance depends on the configured TDP of the SoC. Set to 15 Watt, the CPU should be faster than the old E2-6110. Therefore, the SoC is only suited for basic tasks like web surfing (not many tabs), word processing and video playback. The integrated Radeon should be similar to the Beema based Radeon R2 GPU with 128 shaders. Only a few current games (as of 2014) are thus playable in low settings (see above link for gaming benchmarks). The power consumption of the entire SoC is rated at 12 to 15 watts. Thus, the APU is also suitable for small subnotebooks.